You may already be familiar with, or even be a member of, Sigma Xi, The Scientific Research Honor Society that counts over 45,000 members. Sigma Xi is an international, multidisciplinary community of science and engineering professionals dedicated to research excellence, to promoting public engagement with science, and to fostering the next generation of researchers. Our Ohio State Chapter was chartered in 1898 as the eighth chapter of Sigma Xi and we have been active ever since. Over this time Sigma Xi has been an important part of the research community at OSU and we still provide multiple opportunities to enrich the research environment for faculty and students. Please see our Events tab for more information about activities and opportunities available to you through your Sigma Xi membership. All donations will go directly to funding GIARs. Sponsorship of a GIAR will allow a donor to select the naming rights and/or specific research topic of that award. GIAR sponsorship can be split between multiple donors if those donations total the required value. Please contact the chapter when you make a donation to claim your reward or for more details. 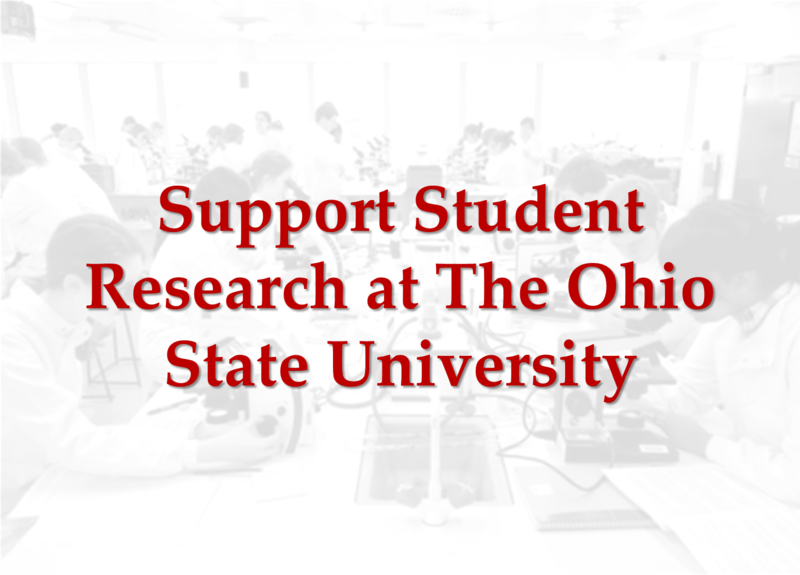 Thank you for your contribution to the student researchers at Ohio State University! In 2017, The Ohio State Chapter of Sigma Xi is be celebrating our 120th Anniversary! Click here to read The History of the Ohio State Chapter by Harold E. Burtt. The Ohio State University Chapter of Sigma Xi has been repeatedly recognized by National Sigma Xi as one of the Top Electing Chapters in the country. We received this prestigious award in 2014 as well as 2017. In addition to that, our chapter won another award in 2018 celebrating the success of our “Meet a Scientist Program”!